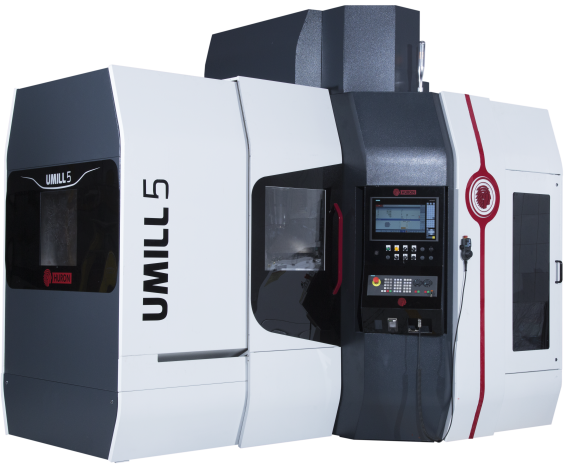 Umill 6 - HURON GRAFFENSTADEN | cnc machine, cnc lathe, cnc turning center, cnc milling machine, cnc machining center, cnc vertical machining center, cnc, vmc, hmc. The solution for complex workpieces with 5 axes ! 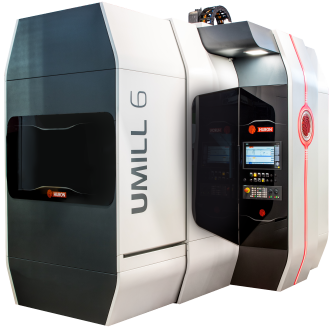 Umill range is a 5-axis machining centres with a portal structure and a swivelling rotary table on cradle. 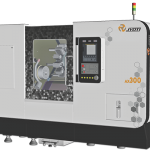 Its modern design and compact size are optimized to guarantee a minimal footprint without compromising either to the workpiece volume or to the fundamental caracteristic of the HURON machines : enhanced rigidity for high performance and quality machining. This range is ideally suited for complex parts in 3 or 5 axes, from roughting to finishing, for various sectors such as high precision mechanical parts, automotive, rail, energy, machining of 3D forms, or aerospace.